Benjamin Franklin once said, “Time is money,” and this could not be more true than today where we find ourselves juggling jobs, kids, extra curricular activities, livestock and much more. With a to-do list that seems like a mile long, why not eliminate one very time consuming thing off that list; the chore of feeding. Technology has allowed for a lot of time saving tricks including solar powered livestock feeders. Solar powered feeders eliminate waste, feed the exact amount you desire, save on time and work come rain or shine. The University of Arkansas did a study that proved that animals feed via a solar powered feeder gained just as well as those that were hand fed. 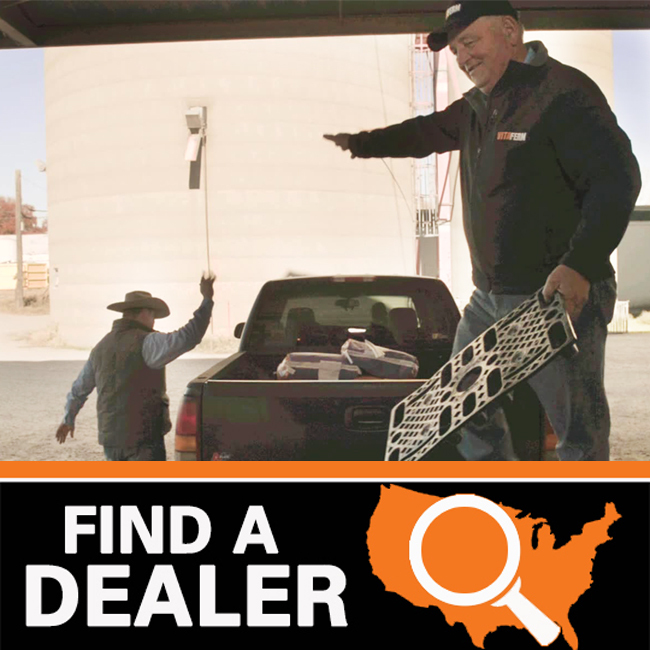 Mark Anderson, a long time Sure Champ customer serves as a dealer for Solar Feeders. “The solar feeder allows technology to take the place of hand feeding and is very efficient,” says Anderson. Anderson mixes Sure Champ Goat pellets into his feed and uses his solar feeders to do the chore that used to take up a good portion of his mornings and evenings. The feeders use a 12volt battery system, and a charged battery system will last several weeks without sunlight. The use of a Solar Recharging Cell makes this system more convenient and energy friendly. 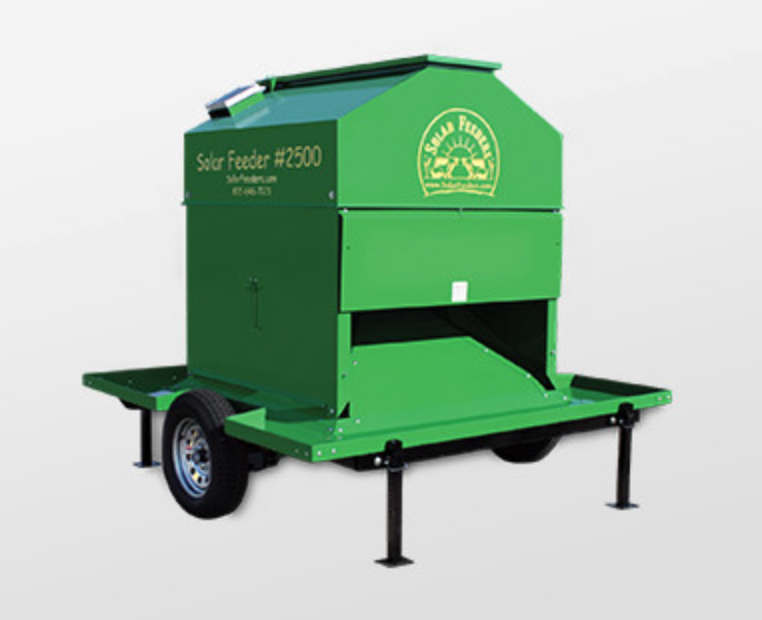 The Auto Feeder provided through Solar Feeders can handle pellets up to 4’’, small pellets, grains and sweet feeds. The operation of these feeders is very simple. 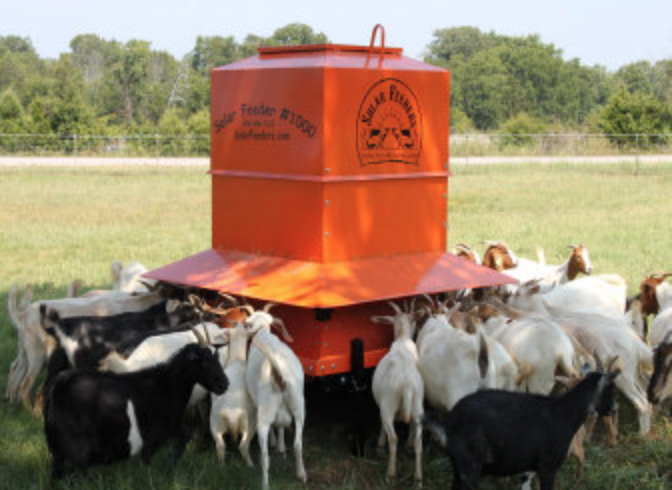 Fill the Auto Feeder with the bulk feed, drive it to your pasture, set-up your trailer, program the controller for the time and quantity of feed you wish to dispense, pull the shut-off handle to the open position and test for proper quantity measure. Once you have completed your test run you are good to go until the feeder needs to be refilled. The feeder is available in many different sizes and can be used for multiple species. For more information visit www.fandhranch.com or www.solarfeeders.com. BioZyme Inc did not receive any compensation for this post. It’s simply another great idea brought to you by one of our customers.